I've been a bit of a blog slacker the last couple days, but in my defence it was kind of a rough week. nothing a good pizza-fest and hundreds of Boy Meets World reruns couldn't fix. I promise, back to regularly-scheduled programming tomorrow. for now, I did find a new shopping site for you to visit! it's called A Wear, and it's brand based in Ireland, but they ship internationally (not to Canada though- sorry homies). they have some really nice stuff at reasonable prices, and from what I gather if you use the code "LOOK2011" at the checkout you get 20% off. so it's worth a look, anyways! 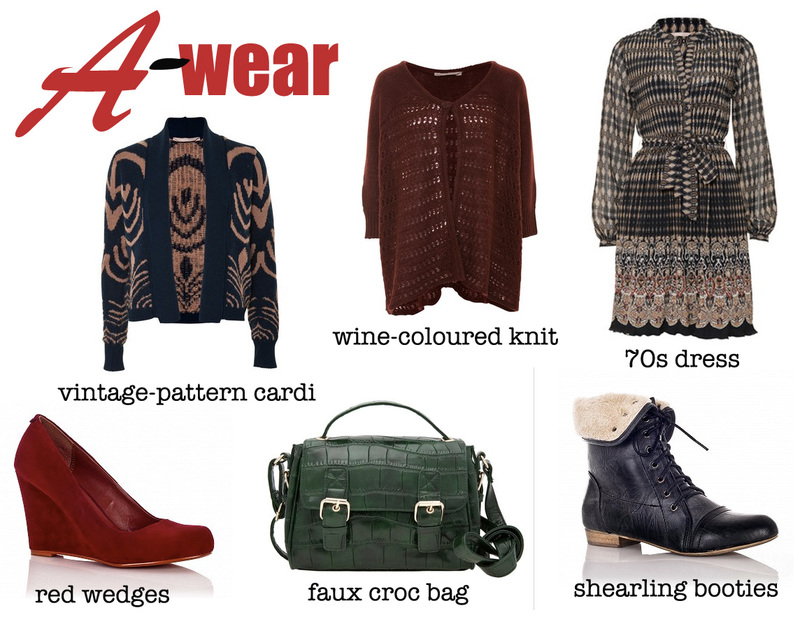 here are a few items I found that I really like... especially the black booties... winter is nearly upon us in northern Scotland and I have no black boots! I hope the code still works if you guys decide to try it out!